The project, in Alliance with the OLPC foundation of USA and Quanta Computer Corporation of Taiwan, was confirmed by Victor Raúl Diaz Chavez, the Minister of Education. 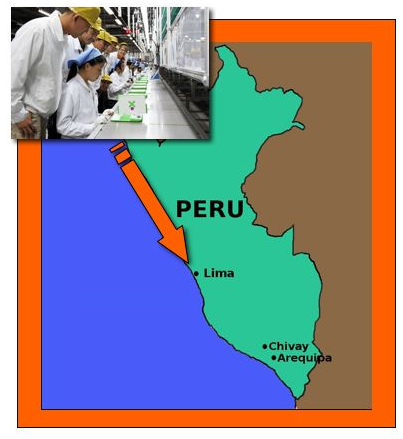 Peru, in a strategic alliance with the foundations of One Laptop per Child (OLPC), Sugar Labs of the United States, and Quanta Computer Corporation (the world’s largest laptop manufacturer), which has factories in continental China, will be the first country (outside of China) to manufacture ARM based laptops, which is the most energy efficient processor in the world. This makes the education in our nation the first in the world to apply the new concept of TIC: Technology for Innovation and Creativity, as a part of “One Laptop per Child,” said the Minister of Education, Victor Raúl Diaz Chávez. The Minister mentioned that the alliance between the Ministers of Education and Production (in Peru), with OLPC (creators of the laptop) and Quanta computer (Which currently manufactures for brands like: Sony, Lenovo, Hewlett Packard and Apple) puts Peru at the frontiers of world technology. 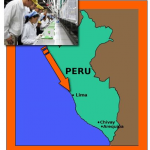 The Peruvian counterpart of this crusade for quality education is the DELTRON Group, a Peruvian leader in the information market and the first to obtain certifications in ISO 9001:2000, ISO 14001:2004, and OHSAS:18001:2007 for their integrated Management System for the manufacturing processes (Design and Assembly) of their computers, was selected by OLPC and Quanta to take charge of the local process. A group of Peruvian engineers works under the leadership of MIT and Sugar Labs Scientists in the “software” design, which controls the already famous XO laptop. “The user’s guide, written by professor puneña Sdenka Salas has been translated into English and French for use around the world,” commented Walter Bender, Founder of the Sugar Labs and Senior Scientist at the MIT. The One Laptop per Child foundation created by the renowned technology guru Nicholas Negroponte is a non-profit entity, which is sustained by people, enterprises and foundations to promote technologically adept learning for children in the developing world. Sugar Labs is a foundation led by MIT Senior Scientist Walter Bender, who promotes the creation of the software as a tool for learning and will lead the work by the Peruvian engineers and teachers, who have already created versions of the software in Spanish, Quechua and Aymara. The Massachusetts institute of Technology is a private Institution for higher education situated in Cambridge, Massachusetts, with numerous Nobel Prize winners amongst its professors and alumni. The institution is considered one of the best research universities for science and engineering in the world. With a total of 32 academic departments, Its Media Lab, (founded by Negroponte) is a renowned around the world for its work in the investigation of learning and technology. The use of educational technologies implemented by the Ministry of Education in all the regions of our Nation is complemented by the training that our educators received in the National Program for Permanent Education and training (Pronafcap), which to date, has attended to over 150,000 educators in the best universities of Peru. The “One Laptop per Child” initiative by the Peruvian government will reach one million portable computers for children and young Peruvians in the current year. Thanks for the correction, Frederick and Adam!